How To Place And Maintain Smoke Alarms - Which? If you're serious about fire safety, it's worth taking time to get the right smoke alarms for your home and ensuring they're positioned correctly. 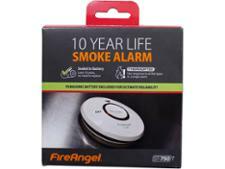 Looking for the best smoke alarm? 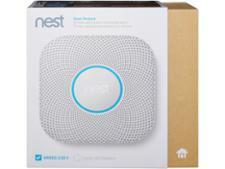 Skip straight to our full smoke alarm reviews for our Best Buy recommendations. At Which? we lab test smoke alarms to uncover the best models that you can trust. Our reviews tell you the ones that respond quickly enough to all types of fire in British Standards tests, and the smoke alarms that can't be relied on. Here, we give you vital advice on choosing, positioning and maintaining your smoke alarms correctly, so they will alert you and your family when you really need them. Take a look at our smoke alarm Best Buys to discover the models that Which? recommends. What are the right smoke alarms for each room? Depending on the size and layout of your home, a heat alarm in the kitchen and optical smoke alarms in the common areas of each floor could be adequate. You could add another layer of protection by installing optical smoke alarms in every bedroom. This can be important as studies have shown that sometimes children and older adults don't wake up when a smoke alarm on the landing goes off. Interlinked smoke alarms could be a real advantage when there's a fire - if one alarm detects smoke, all the alarms sound. You could also place ionisation smoke alarms in the loft and areas such as living and dining rooms. Find out which models from brands including FireAngel and Ei Electronics have earned our Best Buy smoke alarm recommendations. To get the best response from your alarm, it should go in the centre of the ceiling and away from obstructions or dead spaces, such as where the walls and ceiling join. You should be able to hear it clearly across the whole space it is intended to cover, so bear this in mind as you look around your home and consider the risks. You should consider whether you think members of your family would hear an alarm in the planned position from key areas, such as their bedroom. Plus whether anyone has needs that would better suit a different configuration – for example, a hearing impairment or a particularly heavy sleeper. Buy a Best Buy smoke alarm - this is the only way to guarantee that you'll end up with an alarm that's quickest to sound in an emergency. If you can't find a Best Buy, look for an alarm that's been tested to the BS EN 14604 standard - this will be shown on the box. But bear in mind that we've tested typical compliant alarms that have failed our tests and that the standard is broad and allows slow-to-trigger alarms to pass. Write on the smoke alarm itself the day that it was installed, and the date that it, or the battery, should be replaced. Follow the manufacturer's guidance on the installation, location and maintenance of the alarm. Above all, ensure that everyone in your home knows exactly what they should do in the event of a fire. What maintenance do my smoke detectors need? Smoke alarms need very little maintenance, but follow these simple steps to keep yours in good working order. Use the test button to test the smoke alarm's battery weekly. Change the battery each year (unless it's a 10-year alarm). Gently vacuum inside the case (using the soft brush attachment) to remove dust from the smoke alarm sensors. If the case doesn't open, vacuum through the holes. 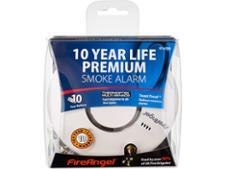 Get a new smoke alarm after 10 years. Test your alarm every week and, unless it has a 10-year integrated battery, change the battery annually. We found that people aren’t checking their alarms as regularly as they should, with fewer than one in twenty Which? members checking their alarms regularly enough. The London Fire Brigade recommends you should check your alarm weekly. Just 4% of smoke-alarm owners told us that they run a weekly alarm check – which is recommended by the London Fire Brigade. Seven in ten owners admitted to checking their alarms only every six months or even less frequently than that. And 2% of owners admitted to never checking their alarms at all. With products like this – where being in working order is absolutely critical but impossible to tell – running a check every week is the best way you can make sure your smoke alarm is primed and ready to let you know when there’s a fire. So add a reminder to your calendar or phone. My smoke alarm is beeping or chirping, what do I do? Regular beeps or chirps are a sign that the battery needs to be replaced. More frequent beeps or chirps - around one every 30 seconds - are likely to be a sign that the alarm has reached the end of its life and signals the time to buy a new one. Keep the instructions to hand, they'll help you to interpret the noises your alarm makes. When you do need an alarm, make sure you get a Best Buy smoke alarm.